We’re continuing the big #GCUCdebate with our presentation to the GCUC UK audience. 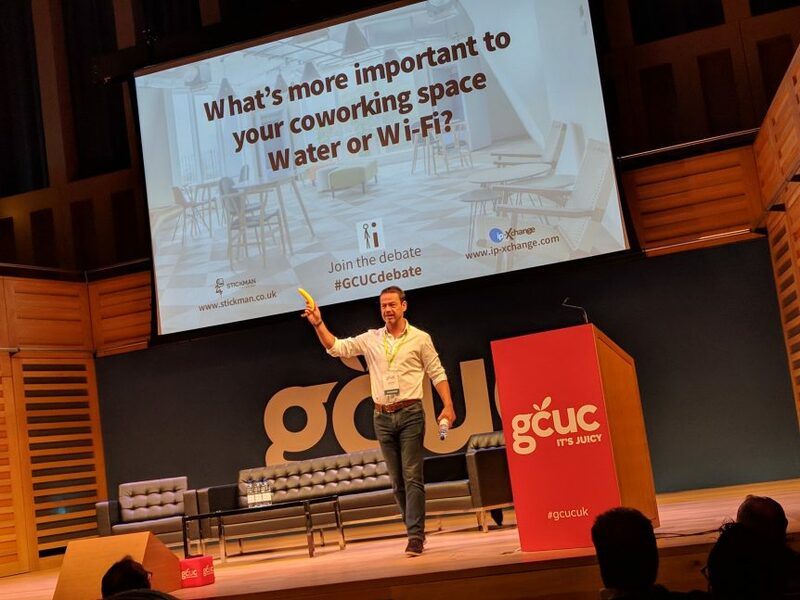 Alongside showcasing what we do and the great people we work with, we also took a moment to get the thoughts from the crowd on what felt was more important to their coworking space – Water or Wi-Fi? Take a look at the video of the presentation below. So if you’re a flexible workspace or coworking operator and you haven’t joined in the debate then tweet/comment or email us with your views. Join in the debate and let us know what you think! While you’re here you can also take a read of our review of the first UK GCUC event. It was a great event and as Stickman and ip-Xchange were headline sponsors we really enjoyed our first GCUC experience.